A non-greasy day and night hydrating moisturising lotion for an immediate and long-lasting 24-hour boost. 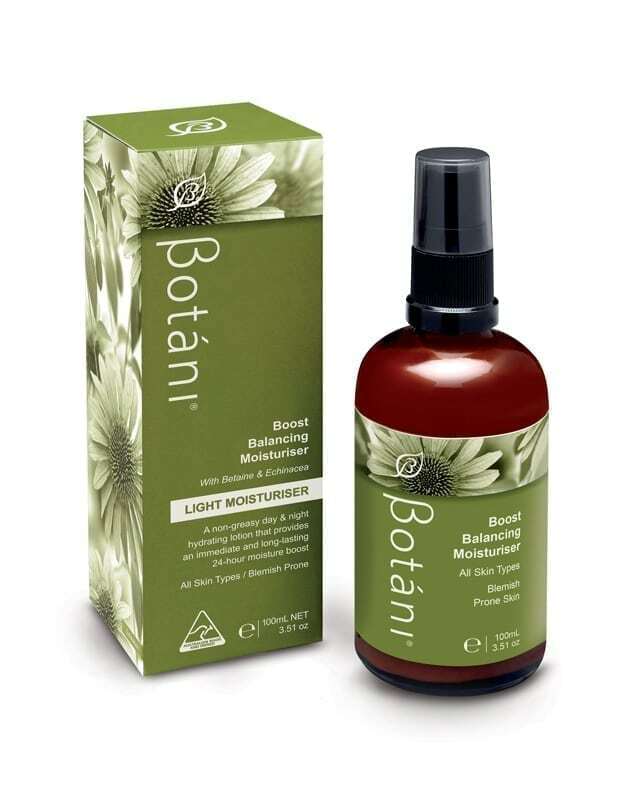 A fast absorbing lotion that calms redness while soothing and protecting the skin from harsh environmental elements. 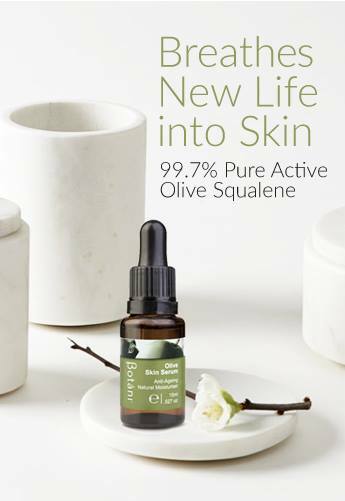 Contains Betaine (derived from sugar beet), Lemon Scented Tea Tree Oil and French Lavender Oil. Suitable for all skin types/blemish prone. Available in 50mL & 100mL. 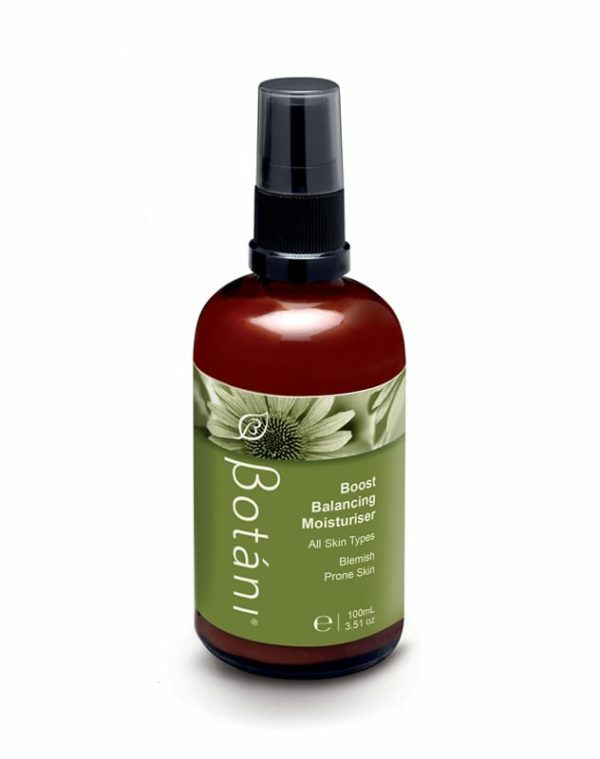 Botani’s Boost Balancing Moisturiser is a light weight formulation which is rapidly absorbed into the skin, providing your skin with long-lasting hydration. 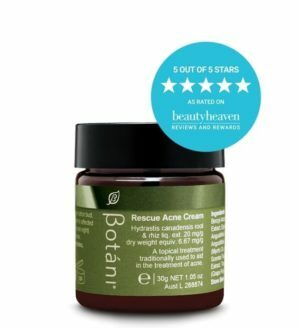 Cleverly formulated with anti-bacterial properties, such Australian Lemon Scented Tea Tree Oil and Echinacea, it also combats those dreaded blemishes and hormonal breakouts that appear. 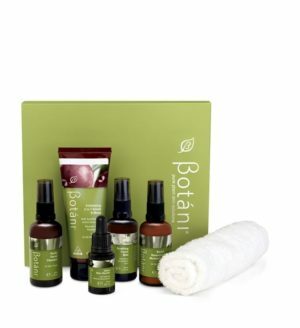 Appropriate to be used daily, “morning and night” and will restore the balance back to your skin! 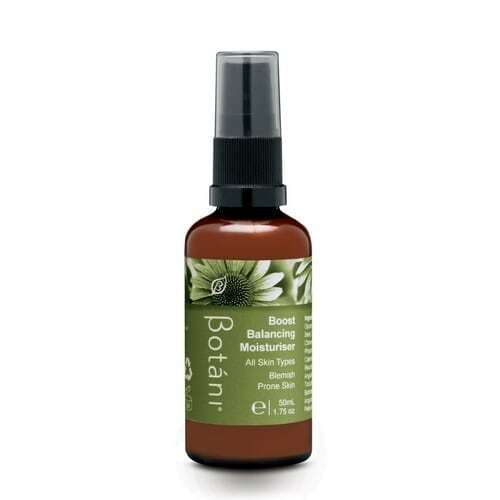 Pump a small portion into the palm of the hand & gently massage into the face. 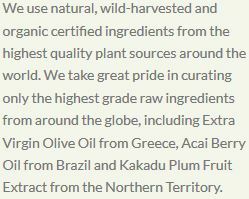 Water (Aqua), Glycerin, Lecithin, Glyceryl Stearate, Betaine (Natural Sugar Beet), Squalane (Olive), Simmondsia Chinensis (Jojoba) Seed Oil, Potassium Cetyl Phosphate, Citrus Grandis (Grapefruit) Seed Extract, Calendula Officinalis Extract, Chamomilla Recutita Flower Extract, Echinacea Angustifolia Extract, Xanthan Gum, Tocopherol (Natural Vitamin E), Potassium Sorbate, Aloe Barbadensis Leaf Extract, Lavandula Angustifolia (French Lavender) Oil, Citric Acid, Leptospermum Petersonii (Australian Lemon Scented Tea Tree) Oil, Linalool, Citral. 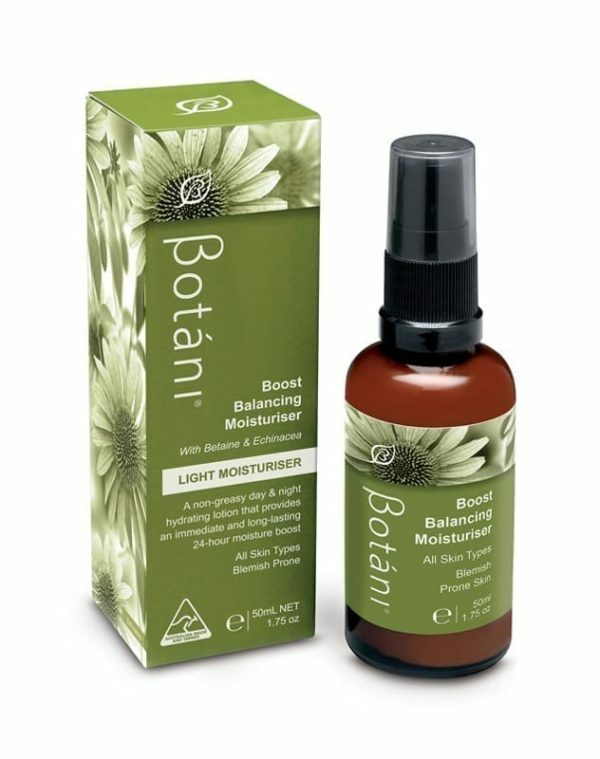 A lovely, light moisturiser that absorbs well and really has balanced my combination skin – fantastic! This moisturiser is light and hydrating. The moisturiser absorbs into the skin quickly and it is not greasy. It’s good to use under makeup. My favourite moisturiser, ever!. 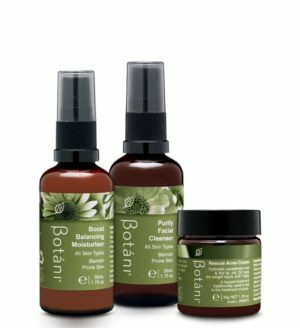 Usually moisturisers don’t soak in properly leaving my face feeling oily and gross after a short time but botani have won me over with their boost balancing moisturiser, it soaks in so well and leaves my face feeling hydrated and calm.